To someone who has never heard your music before, how would you describe it? We are definitely pop and electro mixed with dance music. And we have a punk spirit during our live shows. Where did “Savages” come from? Nathan and Zach are the primary song writers, I’ll give ideas from time to time. More than 60 songs were written and we chose the songs that were the most emotional and raw that our audience could connect with. There are elements of pop, hip-hop, and rock and roll. There’s really something for everyone on it. It’s diverse enough that most people can find a song they’ll like. I’m proud of it. The whole album is unapologetic. We are who we are, we’re out of Nashville, we aren’t country, this is who we are. Speaking of being from Nashville but not being a country band – how has it been trying find footing in that town? We have all lived in Nashville for a long time. You know, 5 years ago, there was news of the Nashville rock scene. Before that, it was something else. Now, Nashville is just 100% Music City. Every type of music has a place there from rap to the DJ scene to Americana. You can find it all. We are kinda bridging the gap between the rock scene and the DJ scene. It’s exciting to be apart of another genre. We haven’t had trouble selling out our shows in Nashville so the audience is definitely there. After the album releases, what’s next? We are performing at a couple summer festivals and doing heavy radio promotion to support the release of the record. This fall we will get busy touring. 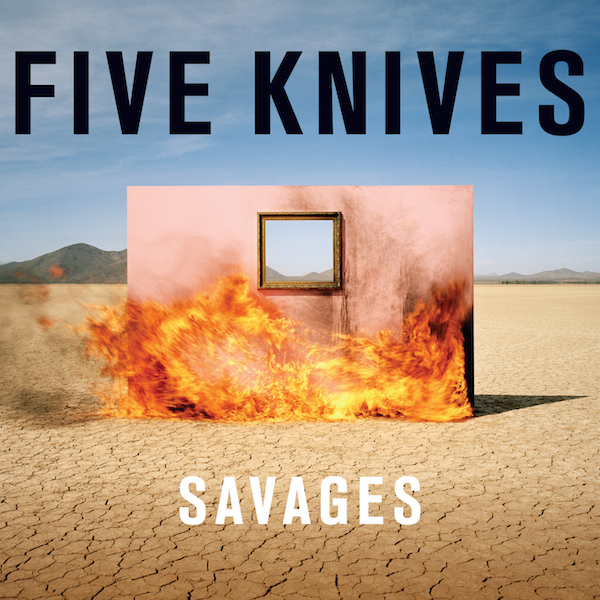 For someone who hasn’t heard your music yet, describe who Five Knives is as a band. An unapologetic and edgy band that’s going to give you your money’s worth every show. We are a pop band with punk elements. That’s who we are inside and out.